We apologize in advance for the sound quality of this episode. We hit a snag with our hardware, but we decided against tossing out this fantastic episode; we really wanted you to hear it. We hope you forgive us for sounding so low-fi. We also explore the history of video game piracy, beginning with the easily dub-able cassette tape years and stretching all the way to the recent Witness controversy. We also explain how piracy works in Poland, Russia, Iran, and Japan, from Famiclones to stickered bootlegs to possible prison time. And at the end of it all, we have some confessions about our own regrettable decisions regarding pirated video games. 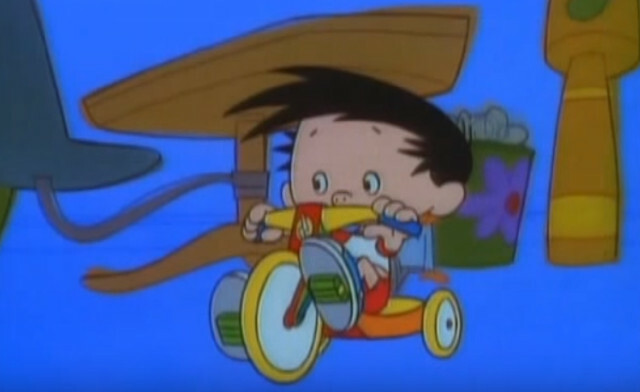 And yes our featured image this week comes from a pirated episode of Bobby’s World. We hope you weather the storm with us, dear friends, because this one’s a real doozy. You can see a complete list of games mentioned in this episode at the official Half-Glass Gaming website. Has Alan Grant weighed in on the topic? We can’t know for certain until we have confirmation from an expert. Things do sound a bit off, but I thought the episode itself was quite good. I’m sorry to hear you had problems with your technology and I hope its resolved shortly. As for the topic, I have emulated a few very old titles but never pirated a new game. I’m older and never got used to getting things for free. My mates and I pirated games back in our uni days and didn’t think much of it. I’d never pirate a game now, though. Bootleg games are hilarious. If you ever need a laugh, you should look up Syrian game covers. make to big a deal out of piracy. People who pirate games weren’t gonna buy them anyways.